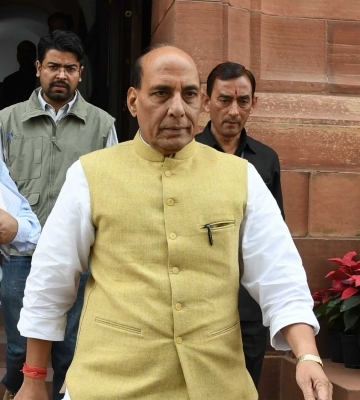 New Delhi Sep 16 (IANS) Union Home Minister Rajnath Singh on Sunday visited AIIMS to inquire about the health of Goa Chief Minister Manohar Parrikar who is suffering from advanced pancreatic cancer. "Also spoke to the doctors who are supervising his treatment. I pray for his good health and quick recovery " Rajnath Singh tweeted. Parrikar 62 was on Saturday admitted at the All India Institute for Medical Sciences (AIIMS) for treatment and examination. He has been in and out of hospitals in the US Mumbai and Goa since February.